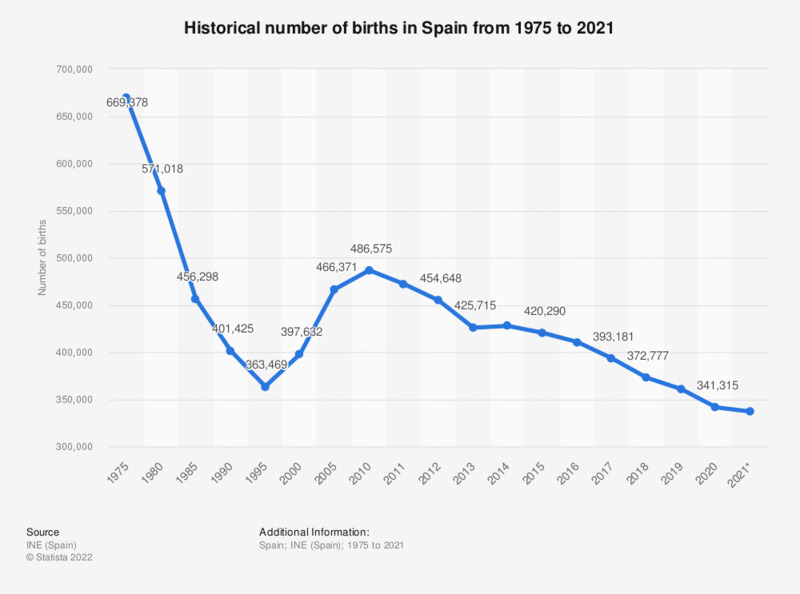 This statistic displays the number of births in Spain from 1975 to 2016. In the year 1990, roughly 401 thousand children were born in Spain, by the year 2000 this had fallen to approximately 400 thousand children. In 2016 the number of children born in Spain amounted to roughly 411 thousand.